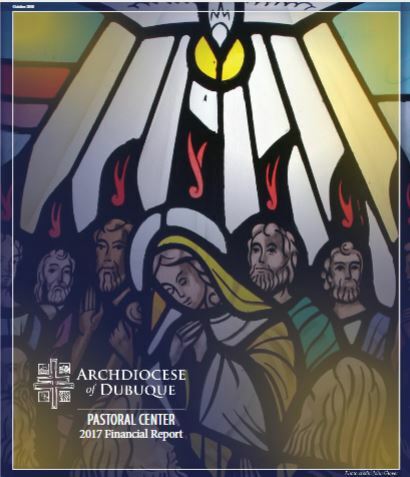 The Archdiocesan Pastoral Center has published a financial report for the 2016-2017 fiscal year. The report answers questions about income from parish taxes and shows how gifts to the archdiocese allow us to partner with others to continue the mission of Jesus in the ministries of the Church. Read the report online here.